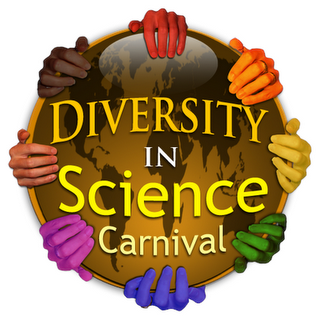 Welcome to the 7th edition of Diversity in Science Carnival. This also marks the one year anniversary of the carnival. This carnival is all about the people, institutions and ideas that work to broaden participation of all people in the STEM field via education, research, public outreach, and good vibes in general. Broadening Participation of African-American audiences at every age, every level and over time is the theme that unites all of the posts submitted to this carnival. 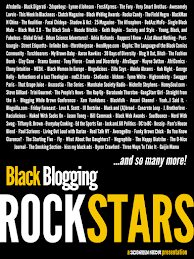 Thank you to all of the contributors. A lesson well-learned by many who are dedicated to broadening STEM appreciation to African-American audiences is to reach them when they are young. 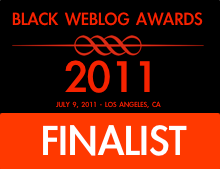 One of my newest bestest blog friends is Rue Mapp of Outdoor Afro and she does just that. In A Day of Service: Celebrating the Legacy of Dr. King, she recaps time spent on a rainy MLK day doing ecological restoration with her young children . She is definitely on the right track. Parents who provide positive STEM experiences really make important impressions on their children. As Roberta from Growing With Science Blog explains, in Meet a Scientist: Dale Emeagwali, Dr. Emeagwali decided to study science because her parents were such great informal educators and discovery mentors. Ideonexus is becoming one of my favorite youth-centered computer science bloggers. He and his wife of TGAW essentially run a computer-science-after-school-club-internet-cafe for the kids in their Elizabeth City, NC neighborhood. He introduces his young charges, and us, to Dr. Clarence Ellis, the first African-American to earn an Ph.D. in comptuer science. Dianne Glave writes about African-American participation in the environmental heritage movement. 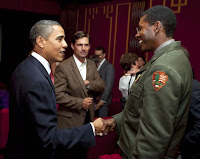 In Black Heritage Month, Buffalo Soldiers, and Shelton Johnson, she introduces us to Gloryland - a historical novel by NPS Park Ranger Shelton Johnson (you may have seen him on PBS Ken Burns National Parks) about Buffalo Soldiers and includes their participation in the founding of the National Parks System in the United States. Under the Microscope collects stories from women involved with STEM with the goal of publishing a survival guide for young women in science. They submitted several posts for this edition of the carnival. First they provide a compiled a list of Notable black female scientists and innovators which includes Dr. Shirley Ann Jackson (Physicist), Ms. Valeri Thomas (Mathematician & Computer Scientist) and Dr. Patricia Bath (Opthalamlogical Surgeon). Next they introduce us to Dr. Estella Atekwana, a biogeophysicist at Oklahoma State University in Geoscientist probes Earth for underground life and to Shaundra Daily, A Computer Engineer links computers, emotions and education. Both of these women do some incredibly interesting research. I'm personally glad for Under the Microscope for profiling so many scientists in the physical and mathematical sciences. I'm always eager to learn more and I'm a just as green about these subjects as some of the students I encounter in real life. And if you didn't know, let me let you tell you, the most significant contributor to medical science and microbiology was an African-American woman. She cured polio, developed in-vitro fertilization technology, went into outer-space, and helped unlock the mystery of the HIV virus; but she wasn't a scientist. Deborah Lacks' immortal mother, born Henrietta Lacks, scientific name is HeLa cells, is the woman responsible for these and many more scientific breakthroughs. It is also important to remember the importance of alliances when broadening participating in STEM to under-represented groups. Greg Laden never fails to disappoint to unearth key points any dig (pun intended). His post, Race and National Bias in East African Palaeoanthropology shines light on this historical under-representation of [Black] Africans as professionals in East African Paleoanthropology and how the Leakeys (yes, those Leakeys) played a pivotal role in helping to remedy the disparity. And BikeMonkey takes us there...literally. He responds stiffly to Eric Michael Johnson's Open Letter to the Animal Liberation Front and their Supporters via Things White People Love: Comparing Black People to Monkeys. He rips EMJ for comparing the unethical medical experimental on Blacks (born of the cruelty of slavery and Jim Crow oppression) to research done on animals, in particular to non-human primates. Speaking up - against inappropriate behavior AND for inclusion of others - is exactly what is needed to create a more diverse community in science and engineering. Related to that, Philip Alcabes discusses Science, Race, and Silence surrounding the tragic events at the Biology Department of the University of Alabama - Huntsville. Many may not have realized it, but that department was a very diverse science department. Three people were lost in the tragedy, including two African-American professors. This event choked me up, too. I share my thoughts about the incident in my post The Black History Month Post I never wanted to write. This Diversity in Science Carnival Edition is dedicated to Dr.Gopi Podila, Dr. Adriel Johnson and Dr. Maria Ragland Davis and thoughts and prayers extended to the families of the victims, the alleged shooter and the entire University of Alabama-Huntsville community. Looks really great. So glad to be included. Thank you.